Happy Thuesday, everyone! Hope everyone is doing well. I finally get to share these lovely pictures to you guys! I had so much fun shooting here at 上水大水管. I am not sure about the exact English translation. 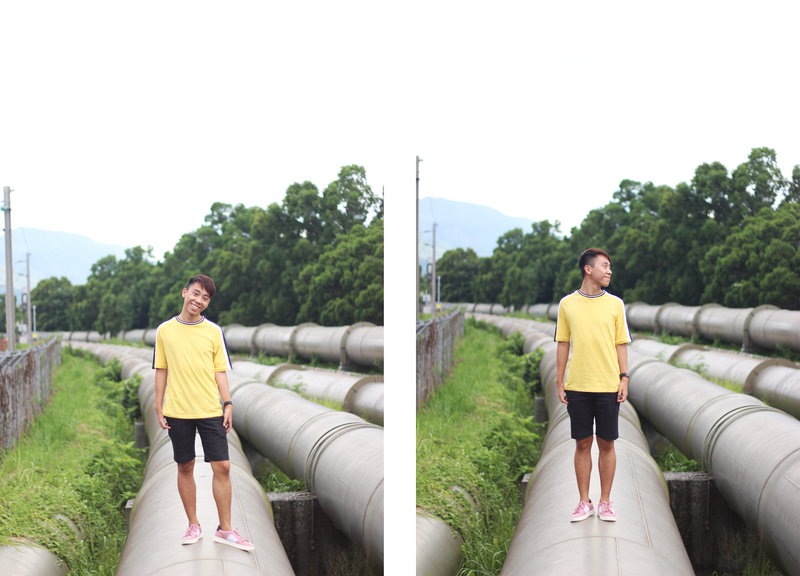 But those are the water pipes located at Sheung Shui! It is actually quite dangerous shooting here to be honest. But seriously, this place looks so beautiful! I need to take 2.5 hours to get here from home but it all worth it! Anyway, it is way too hot to go outside now in Hong Kong. I was like melting when I was taking these pictures! Do you guys love this look? Let me know on the comment section! This is such a cool location! I love those pink sneakers too! Hey Danie, in this post I like your top very muxh and also what a nice hair! love it! Teo! Don't forget to folow each other boy! Thousands of new evening dresses, modern wedding dresses, cheap wedding dresses and more on sale at are waiting for you to buy, click now and buy your stunning dresses, high quality, fast delivery! wedding dress belts by meterWhether you or your bridal party prefer cocktail or floor length, empire or drop-waist, strapless, sleeved or one-shoulder necklines– we’ve got hundreds of gorgeous styles to choose from! Our affordable bridesmaid dresses modest dressesare designed to flatter every member of your bridal party, no matter what style you prefer.